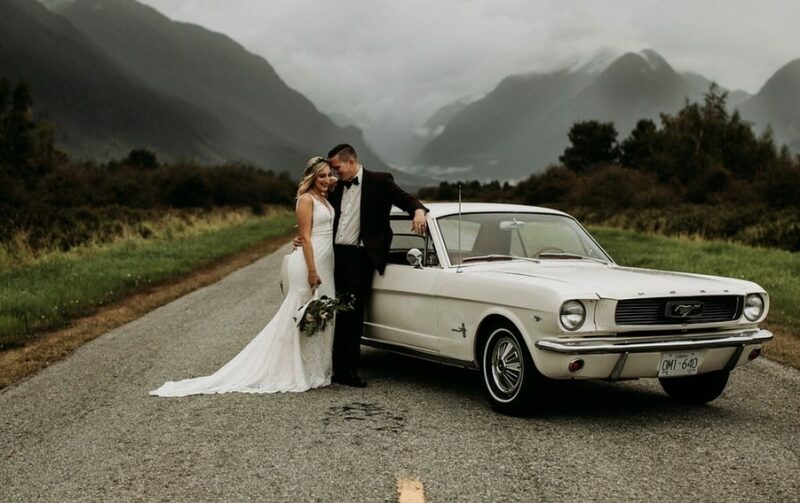 It’s always a pleasure to be included as part of a couple’s wedding day but I think my favourite part is when I get to see all the beautiful photos! 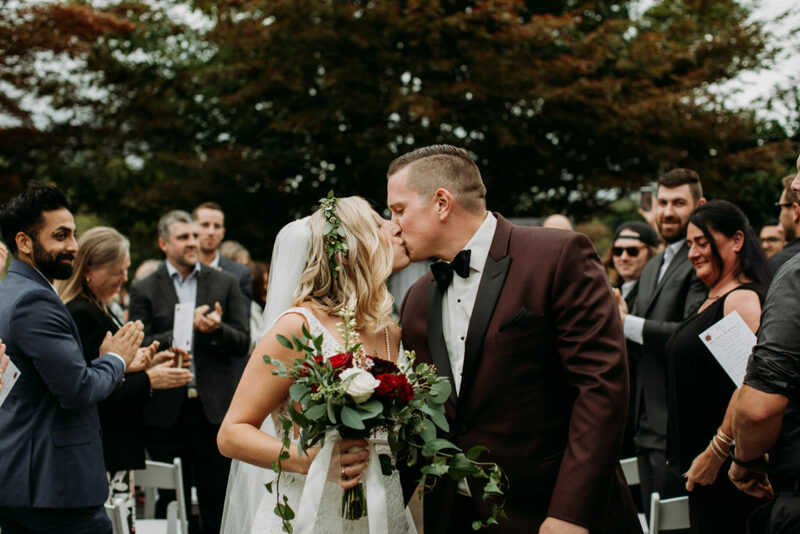 Here is a look at Holland and Daniel’s romantic fall wedding. 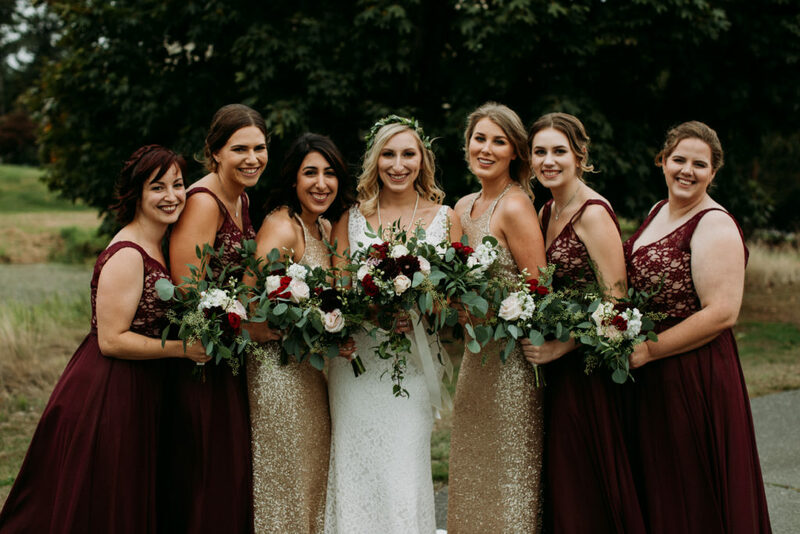 The colour palette for this warm and moody wedding was a mix of burgundy and gold with hints of blush pink, cream and lush greenery. 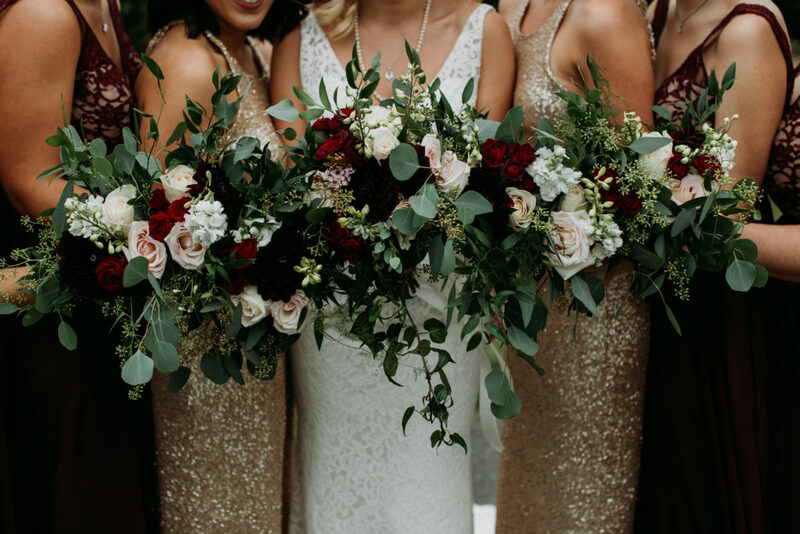 I love these rich coloured floral arrangements by Budget Blooms (fun fact: Budget Blooms did our wedding floral arrangements too)! 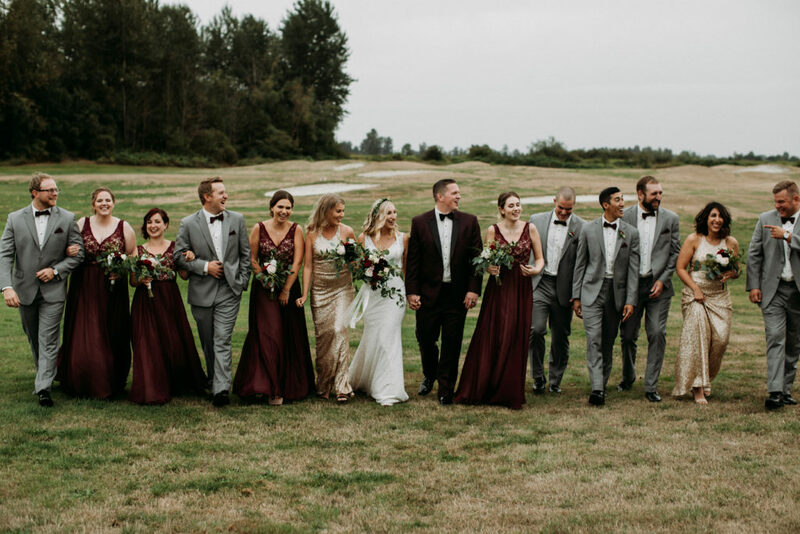 I personally think that the groom should always be distinct from his groomsmen and Daniel’s burgundy suit definitely made him stand out in a good way! 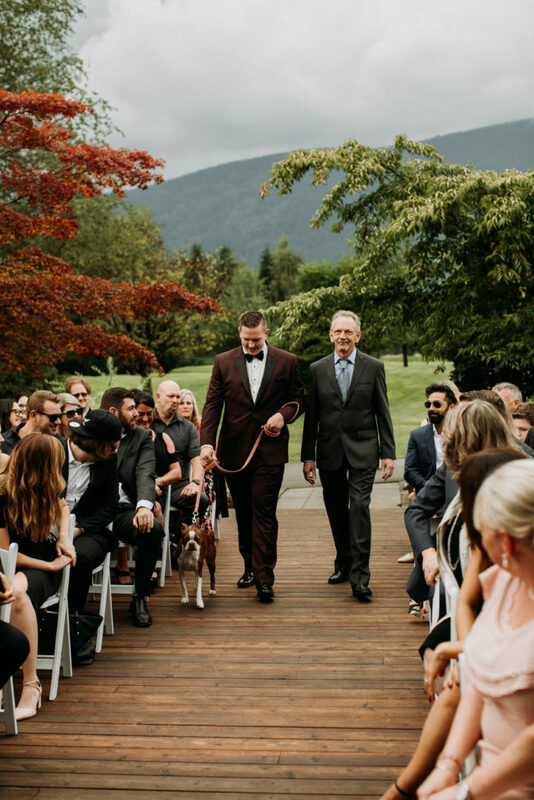 I love the personal touches Holland and Daniel incorporated in to their ceremony at beautiful Swan-E-Set Bay Resort & Country Club. 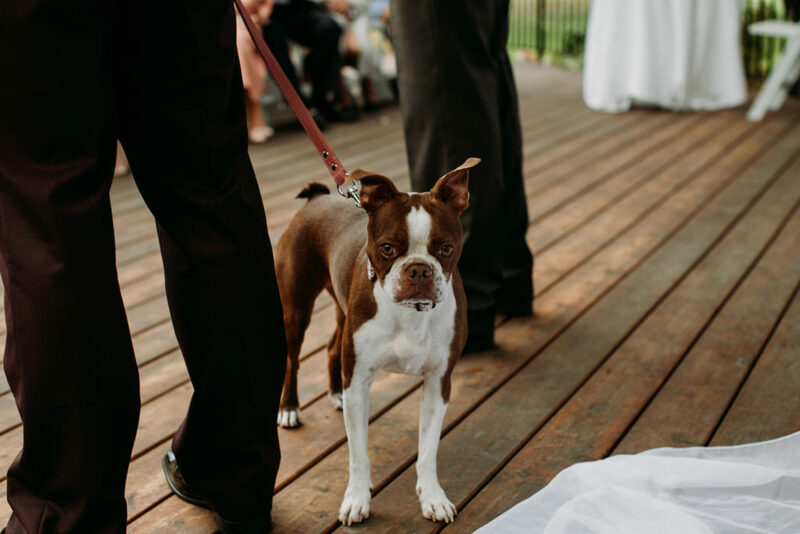 Daniel walked down the aisle with their four year old red Boston terrier Olive and his father. Holland’s grandma was the flower lady. 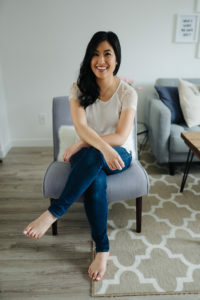 How adorable is she? 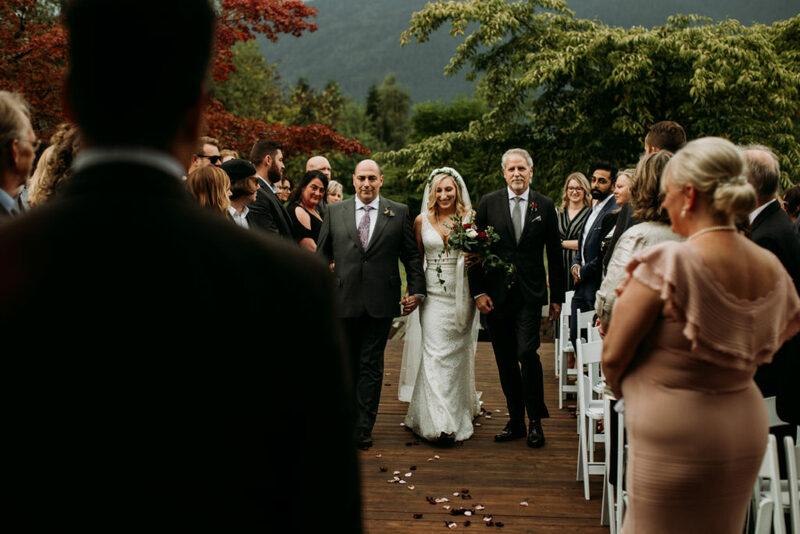 Holland walked down the aisle with both her father and stepfather. 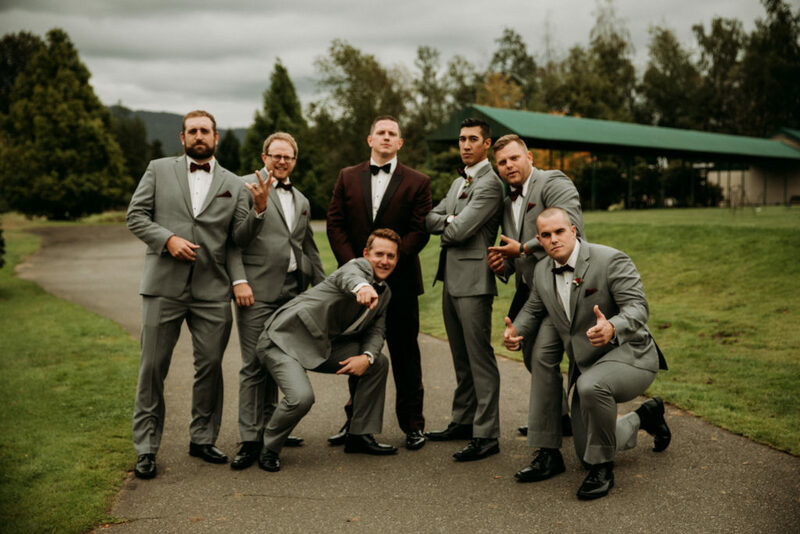 She even did a father daughter dance with each of them at the reception. 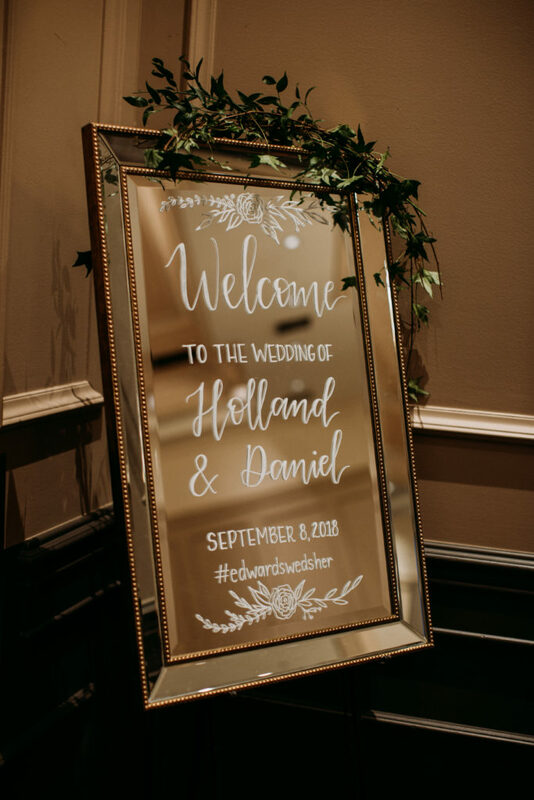 Holland and Daniel used the mirror I hand lettered to greet guests at the reception. 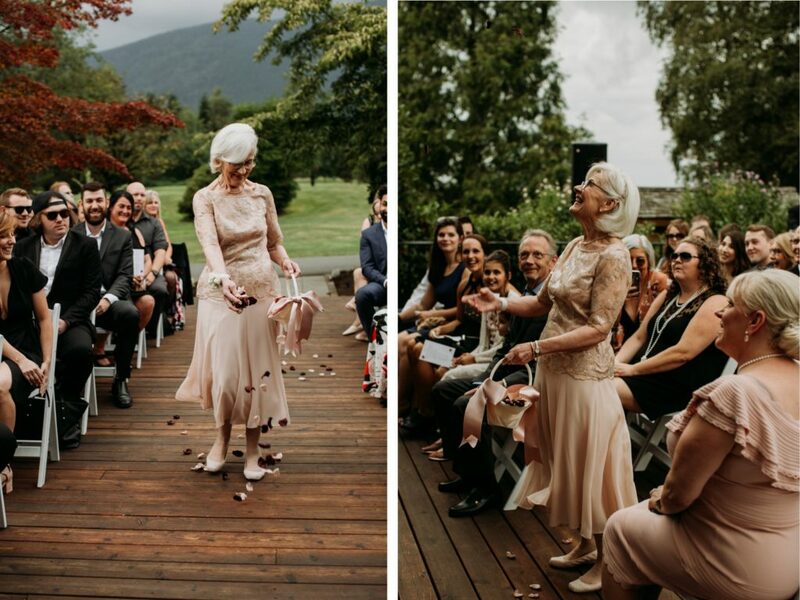 When Holland told me that her husband wanted to keep the mirror forever, it was the biggest compliment she could have given me. 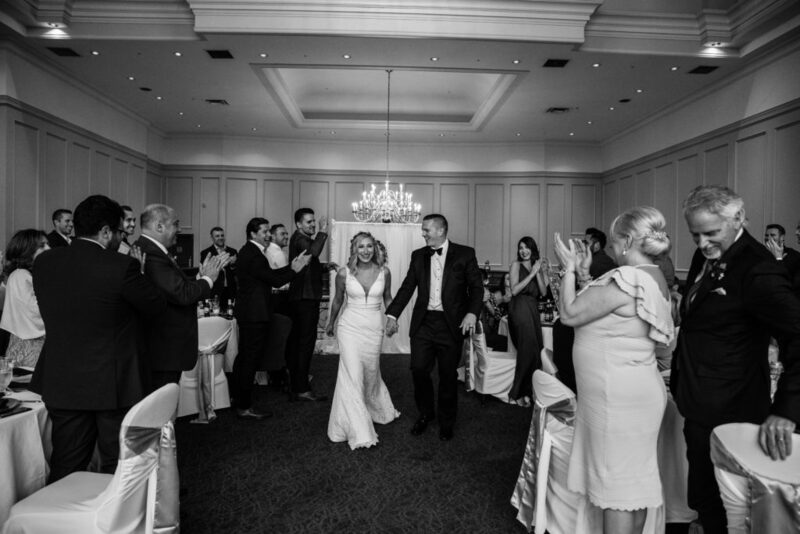 Thank you Holland and Daniel for including me as part of your big day!